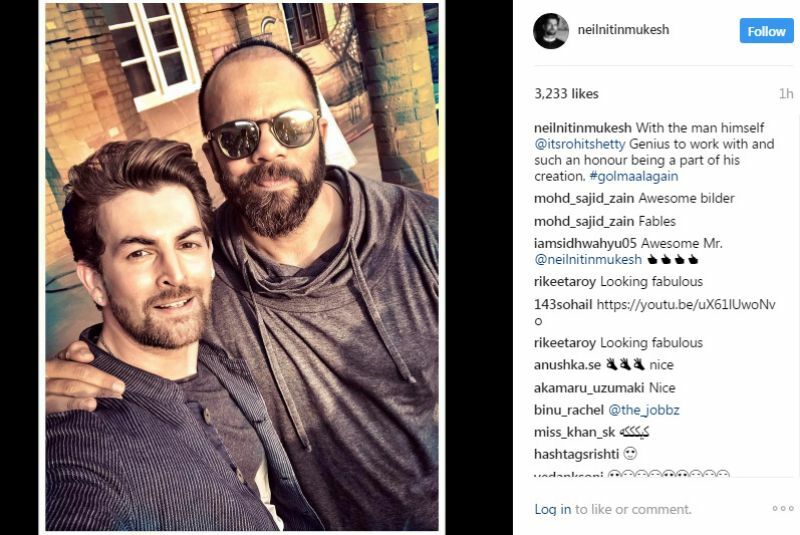 Neil Nitin Mukesh joins Rohit Shetty’s Golmaal Again cast, gets a musical welcome! Neil poses with Rohit and Parineeti. 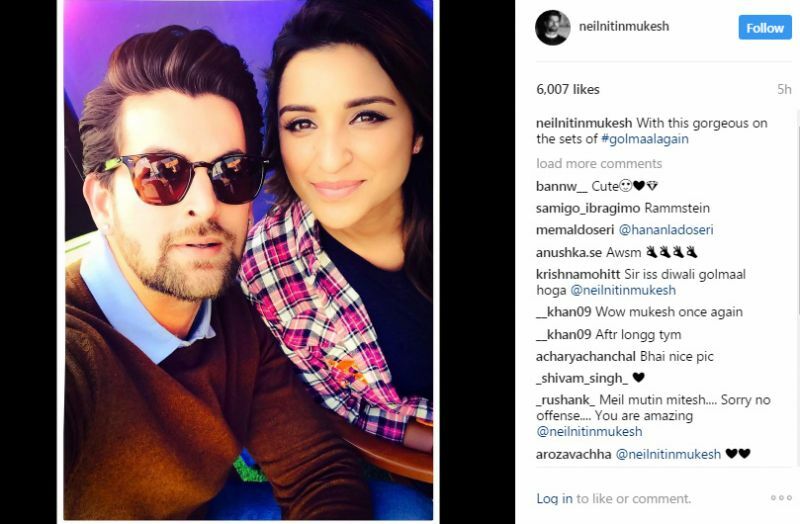 The star received a musical welcome from the film’s leading lady, Parineeti Chopra, who was seen singing ‘Golmaal’ song with Neil. 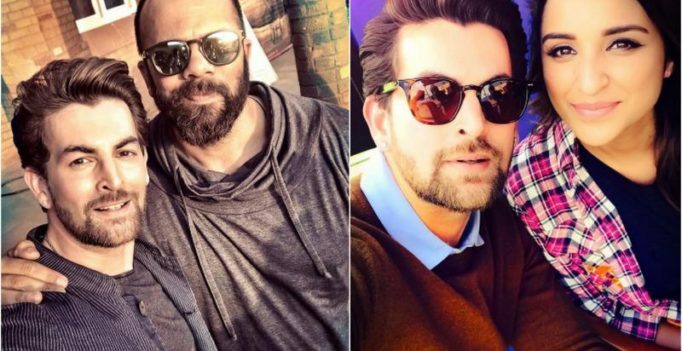 Later, the actor took to his Instagram account where he shared two selfies from the set; one with Parineeti and one with the film’s director himself. The shooting of the film kicked off few days back and the cast and crew are rolling on the floor laughing, literally. Having spent a lot of time with each other over the films in the franchise, Ajay Devgn, Tusshar Kapoor, Arshad Warsi, Shreyas Talpade, Kunal Kemmu and the rest of the team members have developed a friendship that has transcended their professional equation and that’s the reason shooting is more like a party than work. The new entrants to the franchise, Tabu and Parineeti Chopra, have also quickly joined the boys’ ‘gang’ and are also having an enjoyable time. The film will also be shot in the Rohit Shetty movies’ trademark location – Goa. The movie, which is the fourth instalment of ‘Golmaal’ film series, will hit the theatres worldwide in November 2017. For a glow that lasts!